To me there are few things more demeaning than the idea of a military presence in this country. The country that ousted its foreign oppressor and declared its independence on a new land. No matter how you feel about those early days of the country and the men involved with it I have great pride in America’s inception. This is why I am deeply moved by this overwhelming militarization of the police in our country. There are numerous instances in which overwhelming force is being used in efforts against American citizens. 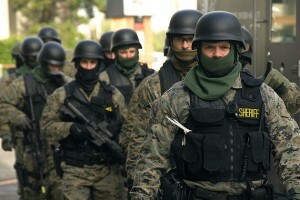 I have heard stories about S.W.A.T team style raids on bars and fund raiser poker games. Lets not forget in order to hold on to a budget for such insane resources and processes our police force must meet their quota. Not that bad when we are talking about parking tickets or seat belt offenses but when we are talking about breaking doors off hinges and holding American citizens at gun point, well, thats another story. Rise of the Warrior Cop: Is it time to reconsider the militarization of American policing? Now you know my stance on marijuana. Its one that often gets me in arguments with those who enjoy its “calming effect.” Yet when military vehicles are being retired from the military and handed over to law enforcement we have to recognize the danger. The same vehicles used to fight radical Isalmaists shipped back to chase your kids down the street with their skateboards! We have to paire this thing way back. Lets be honest. 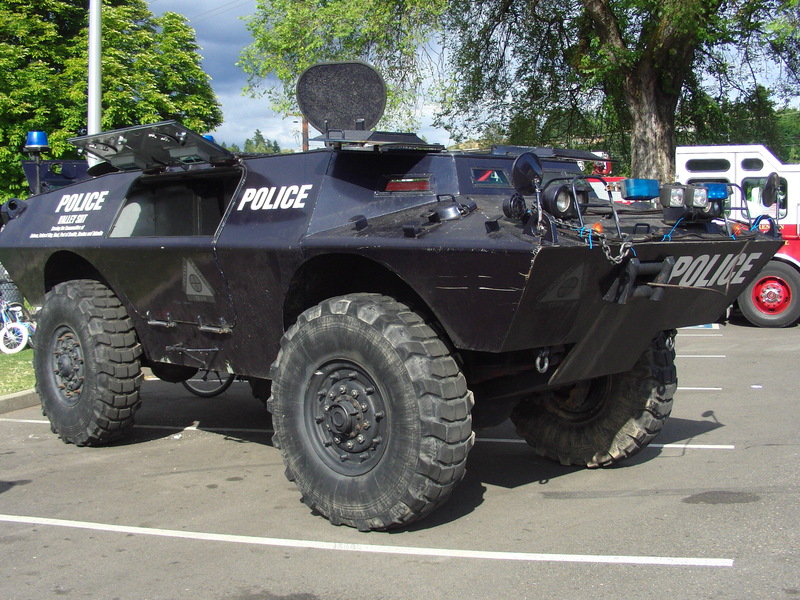 What are our police facing that would necessitate body armor and tanks with tires? Also dont forget that just because these weapons, vehicles and outfits are meant for our police that they couldn’t wind up in the wrong hands. Lets talk the when, why and the how of the militarization of our police force. Also what we can do to get it slowed down and maybe even reversed before we lose control of this thing altogether. Listen to this broadcast of “Police militarization, the dangers” in player below! I Am Liberty website: Go Here!